Home VgamerZ OpinionZ Can there Be Winners and Losers at E3? 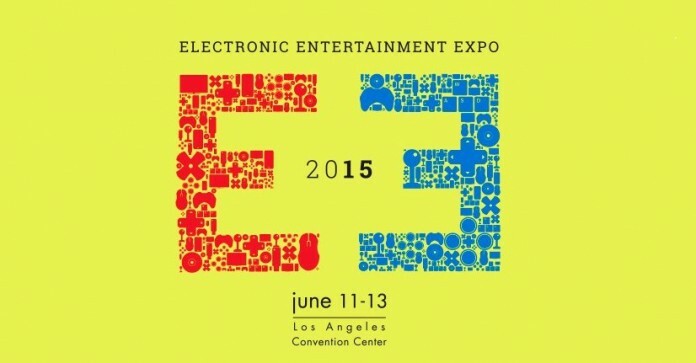 Can there Be Winners and Losers at E3? The E3 week is now over, and as usual it came with a lot of new games, old games, fun games, less fun games, unexpected games and expected games. When nearing the end of the week, one thing we have learned to count on, is that almost all sites covering E3 will discuss who “won” E3. And this year marks the year where we have had the most press conferences before the actual expo ever. Aside from the usual big three that are Microsoft, Sony and Nintendo, we have also seen the now mandatory EA and Ubisoft conferences. But also going full throttle this years was Bethesda, Square Enix and one completely dedicated to PC gaming. The press conferences this year came and went like always. They were held in great theaters hosting seats for a couple hundreds of reporters all eager to first break the news that where soon to be unrevealed. With the exception of the PC gaming conference which was more like a talkshow then anything, a show which lasted almost 2,5 hours, and that was not a good thing. All of them streamed all over the world to a huge number of players eagerly waiting for something new or a reveal of their favorite game, and like always, some people where very happy and some will probably not watch it again next year. But let us return to the question at hand, the big questions everyone seems to have an opinion about now, ironically even me: Which company won the E3 press conferences? and which game won on the show floor? Talking about winners and even loser like most people tend to do when discussing E3, seems like the wrong thing to do here. Because, can someone really win at a press conference? And can someone lose after showing part of\ or the whole portfolio of games? Of course not, it is a very absurd thought. If we were talking about winners and losers, that discussion would instead focus on how well the company sell those games promoted, and most of them are not showing up for a long time, so everything can happened. Even if we strictly view the economic side, and how well a game sells compared to how much money has poured into the project, it still would not really tell us if someone won or lost. Only that the market was focusing on this and that. We could instead focus on what presentation we thought was best and liked the most, in the most subjective way, which of course could be a good reading or completely not agreeable with our own thoughts. Or we could discuss which game might be the biggest winner in the long run in term of player-base or how well it sells, but that stuff should not matter at all to us gamers. They will of course play a vital role for the companies behind them, but a good game is a good game no matter what, and that thought is extremely subjective. Still, there is no winner or loser to be found at E3. There are only some games which some people like better and some games which other people like better. And by saying that a company won the press conference, or that a game won on the floor, is like saying the other games lost. But we all know that a game does not lose, it only appears to a smaller audience then anticipated in the end. The most common answer to these questions on the E3 winners I have seen floating around internet, is that we the gamers are the true winners. And while that might be true, and one of the biggest stereotypical clichés to say. I still cannot honestly say that it is we the gamers who won the E3 shows, because we where sadly not invited. We were given a small amount of teasers and in-game trailers compared to all the business talk in-between that only a few people actually care about. As for the game who won on the show floor, gamers didn’t win anything there at all. Because we have seen very little about what was actually shown on the floor, and with time we will, but we will surely not get our hands on it. Which of course is only natural, since it is the journalists job to provide us with that information at this stage, but we still did not win E3 only because a few games was shown to us. Talking about winners and losers at a semi-public event only made to sell the ideas of products to the consumer via other people in the business, such as the journalists, but also through retailers and other marketing partners, is a completely ludicrous idea. I as many others, watched the press conferences through streaming services and watching a few of the in-game movies taken from the show floor. I have enjoyed some of it, and I did not enjoy some of it. But neither game nor company won E3 for me, they all succeed I doing what they intended to do; showing us games, which in the end is a good thing for a gamer. So let us stop talking about the “winners and losers” of E3, and instead only focus on the games, follow the games you found interesting at E3 here at VgamerZ, and enjoy playing them when they arrive. But this is my opinion in the matter, and I would love to hear your thoughts on the matter, so please, write to your heart’s content about who won or lost this year E3, or if it is even possible at wining there.